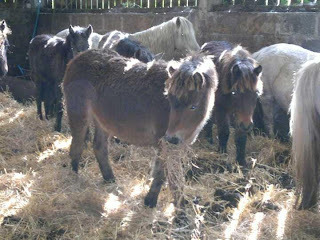 List of ponies urgently needing homes! 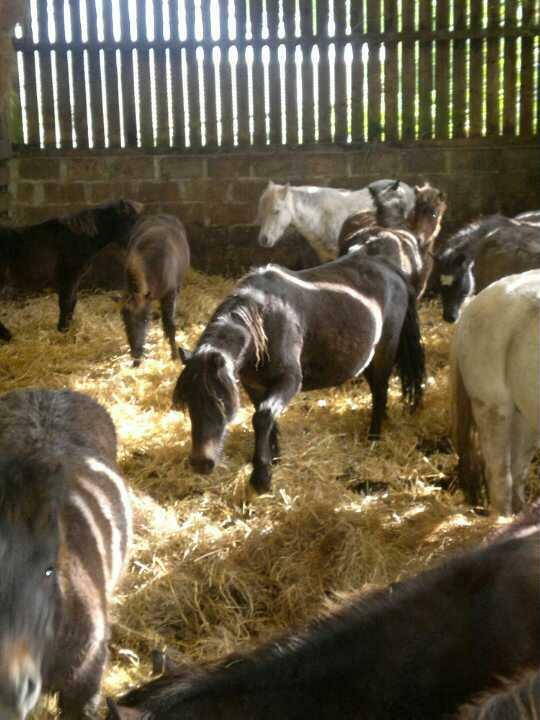 For everyone who has expressed an interest, here is the list of ponies that are most urgently needing homes. Here are the most important things you need to know, PLEASE READ ALL OF THIS INFO BEFORE GETTING IN TOUCH, THANK YOU! These are totally un-handled Dartmoor Hill Ponies straight off of the moor. Older ponies especially are not a job for novices, and even experienced horse people, if you havn't worked with un-touched ponies before, should really buy this excellent book by Sarah Weston, No fear, no force. We are a small, completely volunteer run, organisation who rescue and rehome ponies here on Dartmoor, we have children and jobs so please be patient in waiting for a response. These ponies will make anywhere from 11hh to 13hh, obviously because we cannot know the exact age of foals it can be hard to tell the small from the young, we cannot gaurantee the final size of any pony because we are not psychic lol! The foals are born out on the moor in approximately May, but obviously there is no way to gaurantee an exact age, they will mostly be about 6 months old. 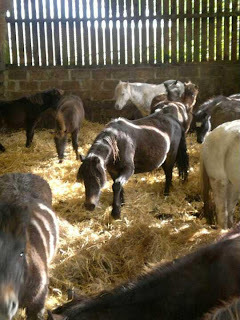 We are acting as go betweens to enable farmers to re-home ponies directly from the farm, we do not have the facitlities or money to take in any other ponies at the present time so feel this is the best use of our resources. The ponies will cost £50 each to cover the cost of microchipping, passport and vet call out. We arrange this and get it all done. Ponies are reserved on a first come first served basis to avoid any ponies getting left behind if someone backs out, all payments are non refundable. We will provide you with the charity bank account number so that the money for ponies can be transferred directly to the account we pay the vet from. You will need to organise and pay for your own transport from near Widdecombe on Dartmoor. Their are several good local transporters who are experienced with these ponies and do excellent rates, nationwide, for shared loads. Paul at PC transport 07860 261144, and Brian at Willhayes 01392 832466. We are aware that the situation here is far from ideal, but it is a very complex and diffcult one for all involved. The zoo meat scheme takes over 800 ponies, mostly foals every year, it ensures that they have a humane end, on the farm, with as little stress as possible, it is carried out by a skilled professional and they do at least have a use as food for big cats. We work with other groups to try and improve th problem in the long run, but in the meantime we try to save as many as we possibly can. Keeping the farmers on side and remaining non judgemental is vital to the continuation of our work. We appreciate your understanding on this point. 8-Light iron grey colt foal, appears totally sound now, so probably just pulled something on his way in, one of the nicest and biggest of the bunch HAPPILY RESERVED! 20- Last but not least, this stunning boy is a 5 year old Stallion. Please read ALL of the following information VERY carefully before getting touch. This boy, like all the others is a TOTALLY UN-TOUCHED feral pony, who until last week was running free on the moor and has been since his birth. We are arranging to have him castrated but this is going to cost £130 which is a lot for us to afford on very limited charity finds, so we would be VERY grateful if a prospective owner, or any other kind souls could contribute towards this cost. We are basically just two volunteers, we have jobs, I have two actually and 3 children and almost 30 ponies that we care for at our organisation. We get no money for the work we do re-homing these herds and most of the time we don't even get to cover the cost of our substantial diesel bills. Our reward is seeing these ponies leaving for happy homes where they have chance instead of in pile on the back of a meat wagon. Anyone considering helping this lovely pony needs to have the facilities and experience to deal with a mature feral pony who will still be thinking and acting like a stallion for a while. The techniques we use, as championed and taught by Sarah Weston in her "no fear, no force book" can transform a pony like this safely, into a friend for life. But subjected to any force or aggression, in even experienced hands, he could easily become dangerous simply because he felt the need to defend himself. So as you can see he needs a very special home, I'm sure there is one out there waiting, could it be you ? ?